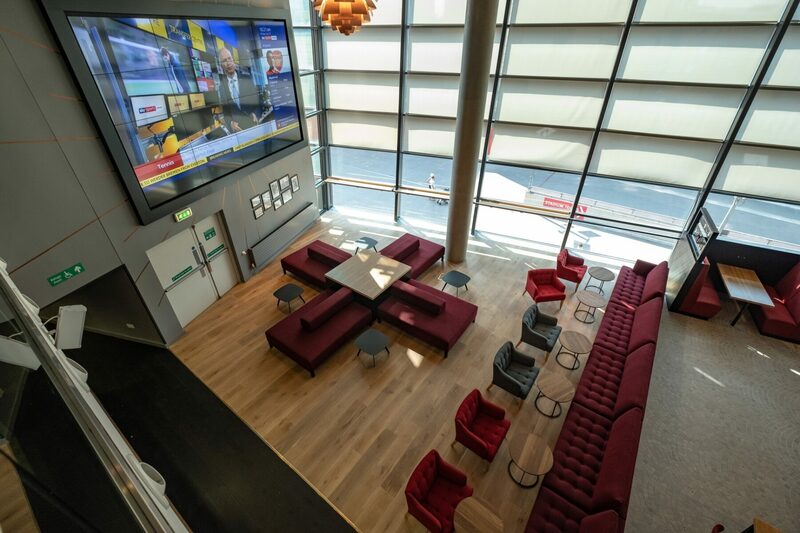 Home of Arsenal FC, one of England’s most storied and best-supported teams, we were commissioned for specialist joinery of the new corporate entertainment and hospitality area, Dial Square. 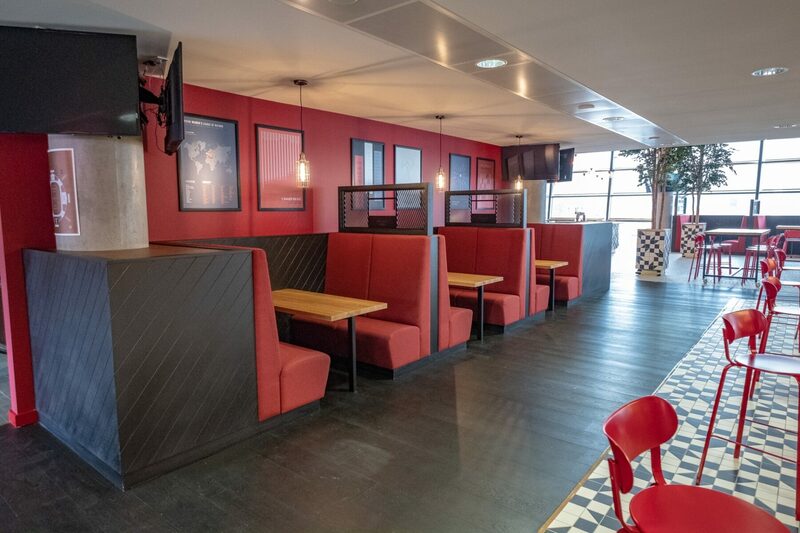 The Dial Square suite offers magnificent views of the pitch with an abundance of natural daylight, ensuring that the suite is an ideal setting for catering spaces, drinks reception and parties. 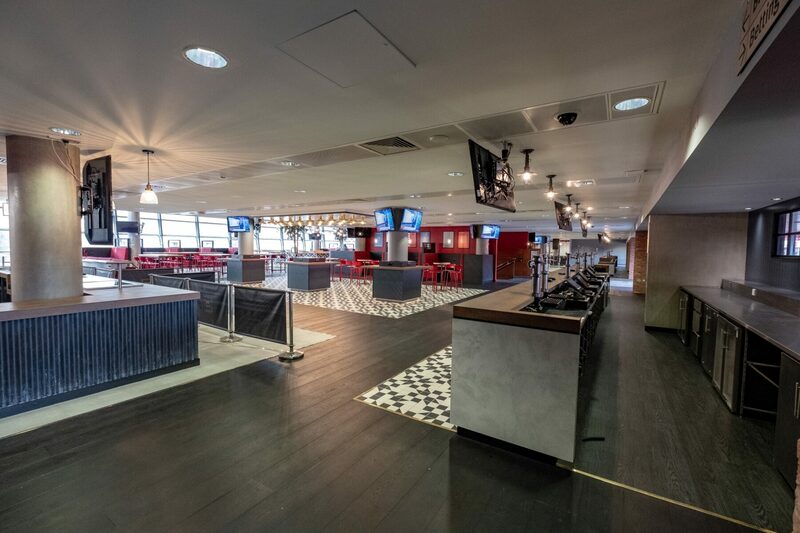 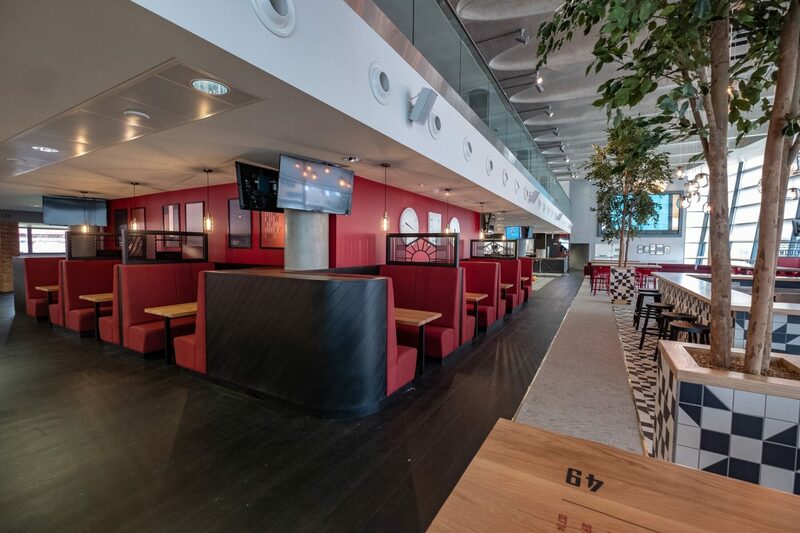 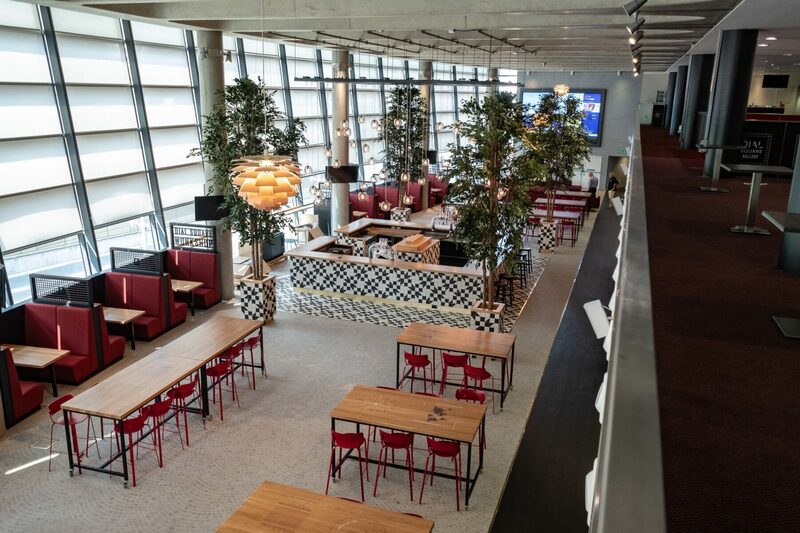 Located at the famous clock-end of the stadium, this stylish suite offers a modern bar space accompanied by a variety of occasional seating and different cuisine stations. 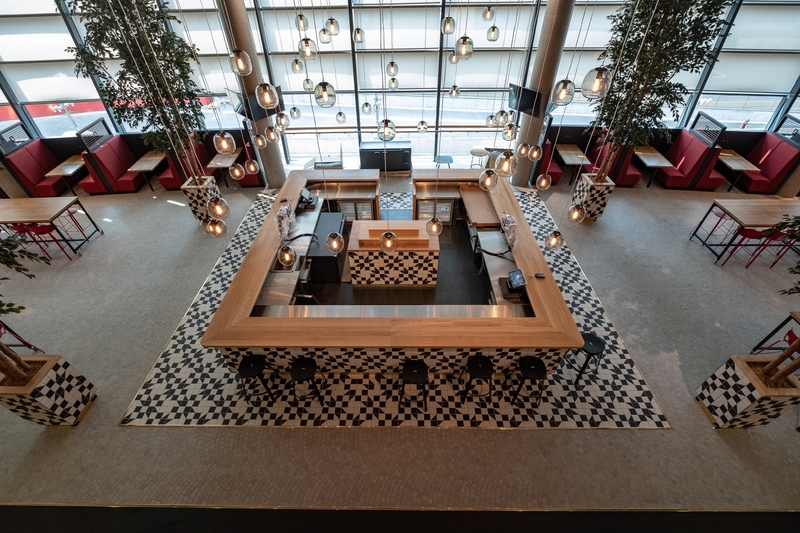 Most of the furniture in the space can be removed creating the flexibility required to meet clients’ needs.